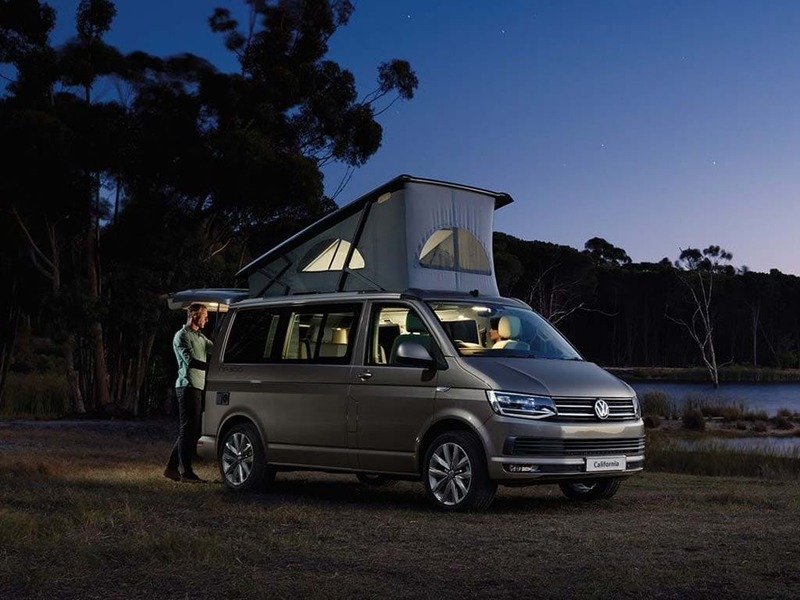 Your adventure begins with the new Volkswagen California. 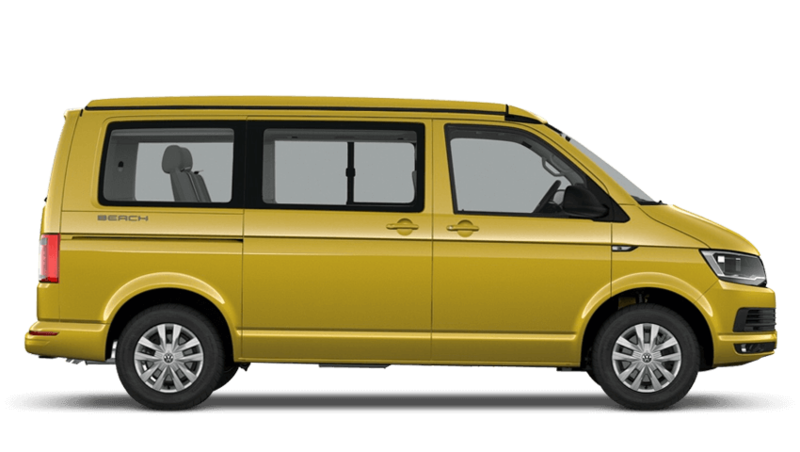 Created with comfort in mind, the VW California was designed around the T6 Transporter, using a more efficient engine. 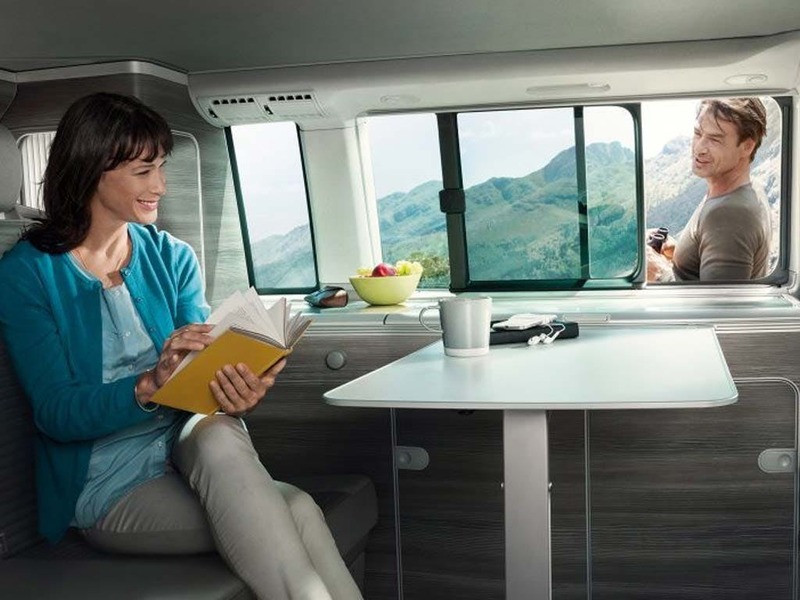 Drive, eat and sleep in the utmost comfort and let the VW California take your further than you have ever been. With an incredible 150PS stashed underneath the bonnet, the California accelerates with ease, no matter how full it is. Experience the ultimate camper for yourself. Visit your nearest Beadles Volkswagen dealership in Kent and Hertfordshire for a test drive. 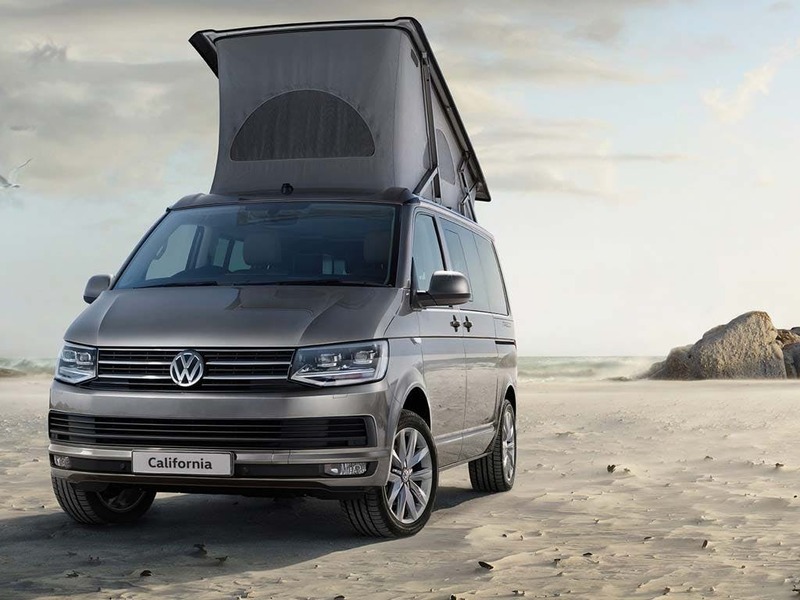 Discover all the latest Volkswagen California offers currently available. Every detail matters, view the Volkswagen California technical specification. Download the latest California brochure. 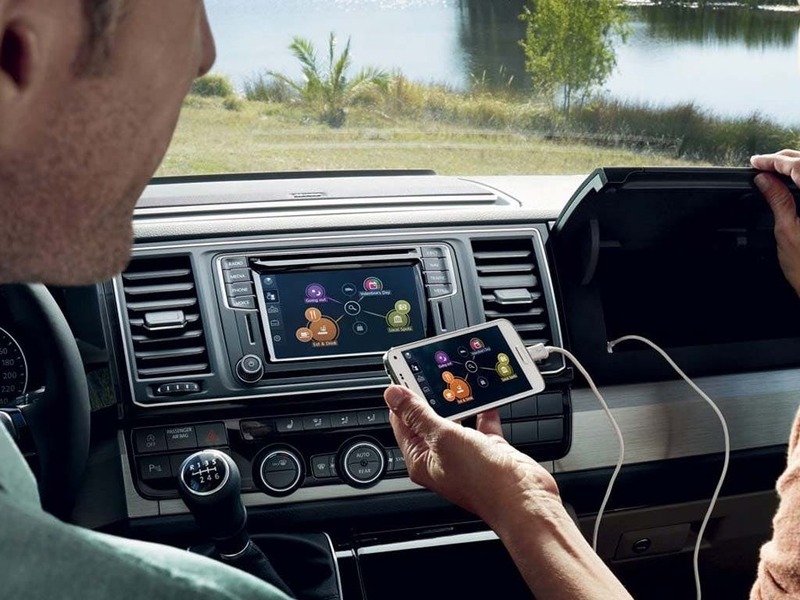 Featuring advanced technologies, the new VW California will keep you connected, entertained and safe. Bluetooth connectivity and a touchscreen Composition Colour DAB+ radio with six speakers keep you connected, allowing you to listen to music, GPS directions and much more. Designed to keep you and your passengers safe, the VW California’s Driver Alert System monitors your driving behaviour, warning you when you’re tired. The Electronic Stabilisation Programme monitors your wheels to stop any potential skidding, whilst the optional Adaptive Cruise Control keeps you safe by keeping you at a pre-set distance from the vehicle ahead. Not only does the new VW California feature practical utilities, but it also has a powerful engine with reduced emissions. 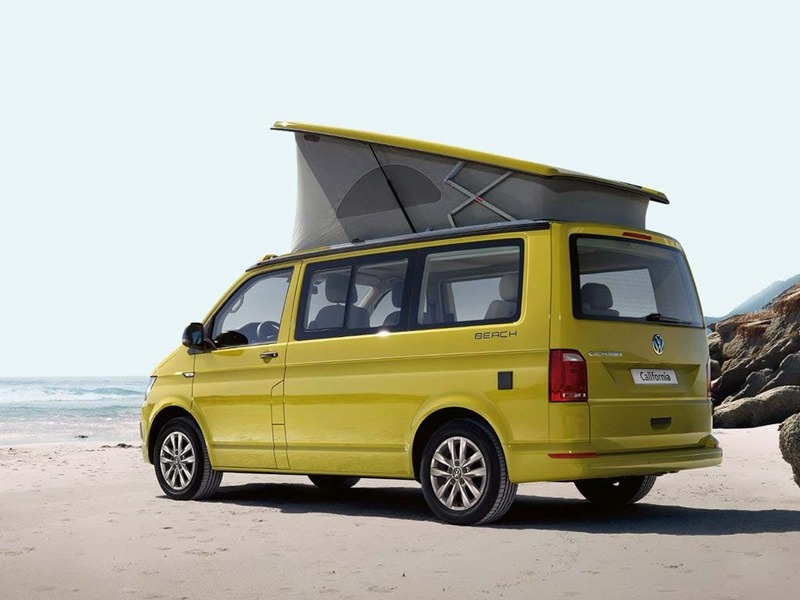 With three engine options to choose from, including two 2.0-litre TDI engines with either 102PS or 150PS and one 2.0-litre BiTDI engine with 240PS, this campervan exerts some serious power. All-wheel drive provides enhanced traction, handling off-road situations with ease, while Bluemotion technology helps to reduce emissions and increase fuel efficiency. Start/Stop technology turns the car off when stationary in neutral and the regenerative braking charges the battery when coming to a standstill. 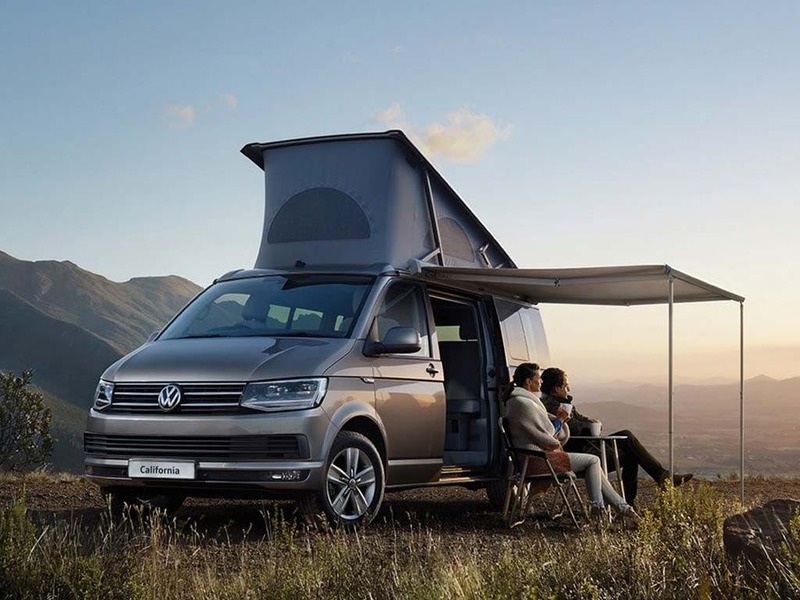 Set to impress, the new Volkswagen California uses only the finest quality materials, guaranteeing a comfortable drive every time. Relax in style with comfort and class around every corner. The steering wheel, gearknob and gaiter are upholstered in leather for a more refined look, whilst carpet flooring will make you feel right at home. A two-seater bench in the rear folds down to make a bed, providing you with the ultimate in practicality and functionality. 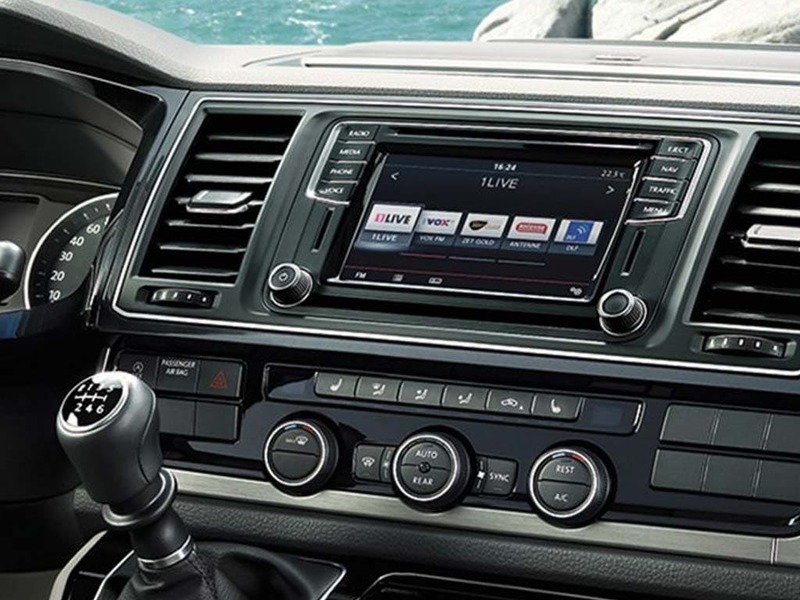 Its fully adjustable design allows you to alter the new Volkswagen California’s layout with ease. 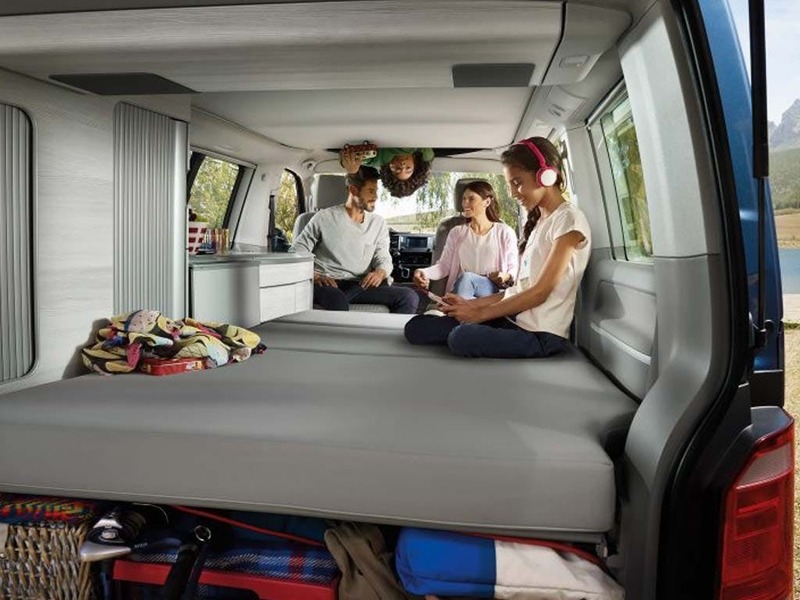 A versatile space that can be altered to suit your needs, the new Volkswagen California comfortably sleeps up to four people. Foldable chairs can be moved around freely in the rear thanks to a floor mounted railing system. Clear away two foldable chairs and a foldable desk to create extra space when you need it most. The pop-up aluminium roof integrates a double bed with a foam mattress for the ultimate discrete sleeping area. Featuring two canvas sides, two zip-up windows and a fly net, this bedroom is the perfect retreat at the end of an exhausting day. 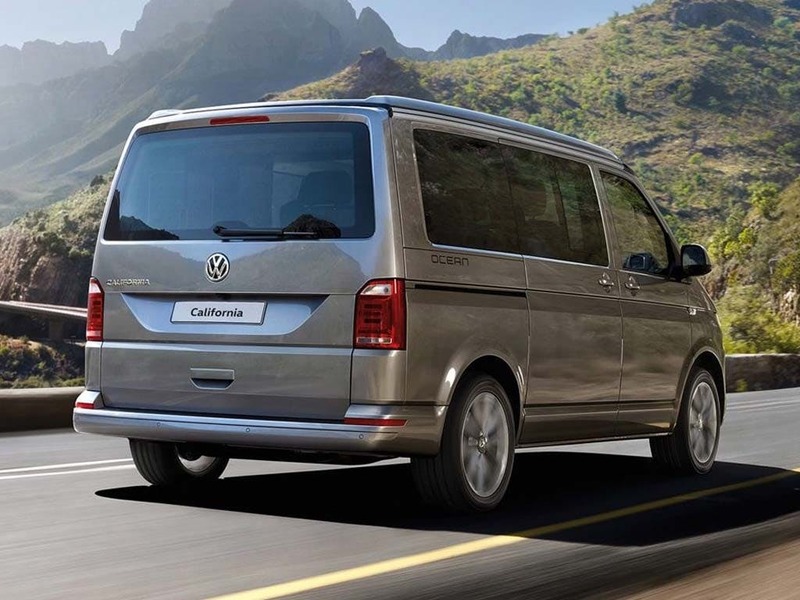 Travel in style with the new Volkswagen California by booking a test drive at your local VW Van dealership. If you’re looking for more information or want to discuss the best purchasing options available for you, visit your local showroom or call us to speak to a friendly member of the Beadles Volkswagen team who will be on hand to help answer your enquiries. of customers that bought an Volkswagen California would recommend to their friends and family. Having previously visited another VW van dealer (Marshalls in Reading) where we found them unhelpful, they kept us waiting (despite having an appointment) and generally unsatisfactory, we were delighted to do business with Volkswagen Van Centre Hatfield. The 2 sales people we dealt with (Russ and Allan) were both friendly, helpful, flexible and easy to deal with. We are delighted with our 2017 California Beach and are looking forward to many trips in it! I only wish we were slightly closer so I could get Volkswagen Van Centre Hatfield to do the servicing. We've already recommended them to a couple of friends who may be considering a California.